I am new and having problems growing anything. After researching I found out that my tomato / cucumber plants infected with root-knot nematode. I could not find any solution. 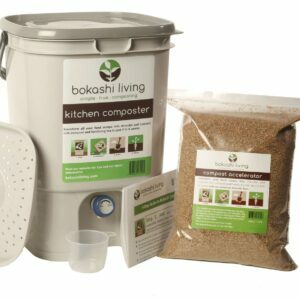 Now just hopping that my Bokashi compost will help. Any suggestions? Sorry to hear that you are having difficulties with your plants. In answer to your question, yes, bokashi compost can help address root-knot nematode problems. We don’t have any direct experience of using bokashi to treat root-knot nematodes, but studies have shown that adding bokashi (which includes lactic acid bacteria) can reduce populations of root-knot nematode (reference at the end of this answer). To add these beneficial lactic acid bacteria to your soil, you could also add bokashi bran directly as a soil amender, or dilute our liquid EM (essential microbes) and simply water it onto your affected soils. 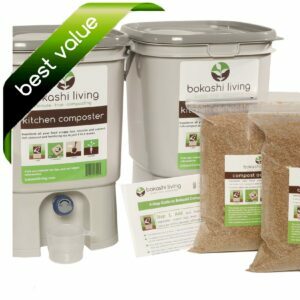 In addition, bokashi compost will greatly improve the health and structure of your soil that is thriving with the garden friendly microbes that are needed to keep harmful diseases at bay. Furthermore, healthy soil promotes healthy plants and root systems that are more resistant and tolerant to disease. Hope that helps and feel free to ask any other questions you may have.